#typeyeahtuesdays 2016 Instagram Lettering Challenge | Typeyeah. Rise and shine! It’s Tuesday! This weeks #typeyeahtuesdays entry goes to @gee_nobile with his lettering of the #typeyeahlogo 👏🏻 Join the challenge by designing your best version of the ‘Typeyeah’ logo and post it to Instagram with the hashtag #typeyeahlogo Each Tuesday a favourite will be selected and featured on the page. It’s my favourite day of the week! @fiona_pouet has done an amazing job on this weeks #typeyeahtuesdays entry with her version of the #typeyeahlogo. ❤️it!! View her profile for more fabulous typography goods! 👌🏻👏🏻 Join the challenge by designing your best version of the ‘Typeyeah’ logo and post it to Instagram with the hashtag #typeyeahlogo. Each Tuesday a favourite will be selected and featured on the page. 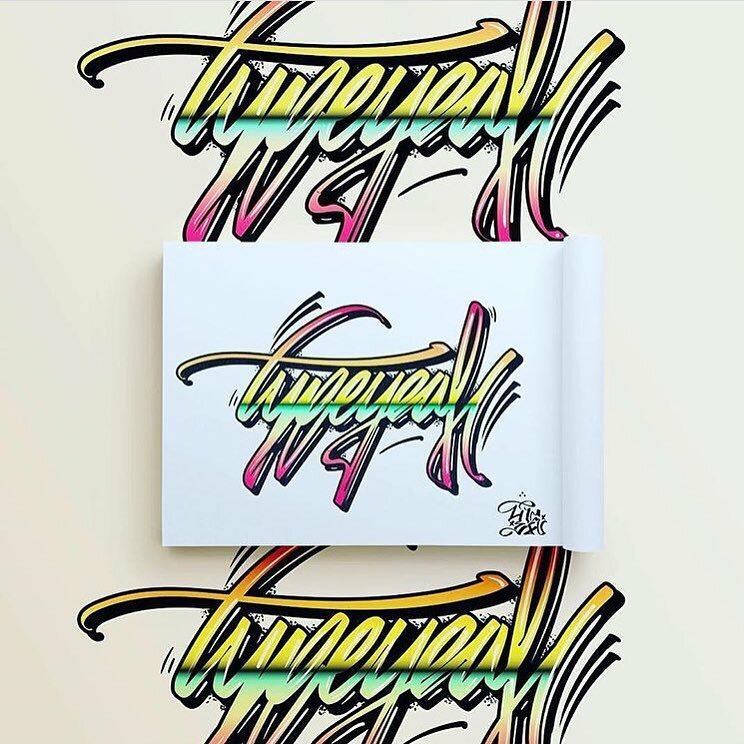 This weeks #typeyeahtuesdays entry goes to @snchz_ali with his script lettering of the #typeyeahlogo Join the challenge by designing your best version of the ‘Typeyeah’ logo and post it to Instagram with the hashtag #typeyeahlogo Each Tuesday a favourite will be selected and featured on the page. While you’re here… Check out the #typeyeahtuesdays 2017 Instagram Challenge entries.